Best Girls Basketball Shoes Bar None! At the outset history of the sports infancy, basketball was played in any type of athletic attire one deired to wear. By the 1900s, special uniforms were developed and marketed to basketball players. The style, cut, and fit of basketball uniforms evolved throughout subsequent decades, often modeled after the general fashion trends of that era and time period. Originally, basketball was played in any type of athletic attire, ranging from football to track and field uniforms. 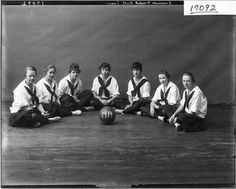 The first official basketball uniforms, as of 1901 displays were in the Spalding sports catalog , featuring three styles of pants: knee-length padded pants, similar to those worn for playing football, as well as shorter pants and knee-length tights. There were two types of suggested jersey, a quarter-length sleeve and a sleeveless version. The long pants later evolved into medium-length shorts in the 1920s, and around the 1930s, the material used for jerseys changed from insane warm wool unis to the lighter nylon and polyesther .Between 1970s and 80s, uniforms became tighter-fitting and shorts were shorter, consistent with the overall fashion trends of the time . During this time, women’s basketball womens uniforms transitioned to tank tops from long sleeves style jerseys akin to men’s basketball uniforms, which more explicitly showed off players’ muscle tone. The first WNBA jerseys did not have any designer logo on them, as the Champion brand logos were typically on the into the players shorts at the bottom of the jersey .In 1998 Reebok started to be a major sponsor of the WNBA . Jerseys were baggy, everything was shiny and typically worn tucked in as players are to do on the colligiate level . WNBA logo was typically featured on both the shorts and jersey with the team name depicted across the chest. The shiny player unis had disappeared by 2003. Fabric that was lighter and a little more breathable and bearable for players were inroduced . The biggest change was how these jerseys were worn. They were no longer designed to be tucked in, if you did, well, it wouldn’t stay. Reebok designs were not as baggy and featured a more slim fitting . Teams still wore darker jerseys on the road.and white at home. With the start of a 10-year agreement between the two, Adidas took over as the official outfitter for the WNBA. Jerseys were tucked back in, continued to get slimmer and featured a more dry-fit material that was more absorbent than previous uniforms. We also started to see the beginning of the racerback cut to better fit the body of the players. The Phoenix Mercury were of the first WBNA teams to have a sponsor Lifelock added to the jersey. A smart financial move making them first team in professional American sports to do so. Shortly after, the Los Angeles Sparks replaced the ‘Sparks’ with Farmers Insurance on the front of the jersey. The teams had multi-year sponsorship contracts .By 2013, half of the league had major jersey sponsors. Currently every team has some form of sponsor on its jersey. In 2016, the league became one of the first American pro leagues to eliminate the traditional home white jersey. In 2018 Nike took over as the official outfitter for the WNBA. The Las Vegas Aces ,Washington Mystics and the Atlanta Dream are the only teams remaining with the team name in its original place. However, a Verizon logo is placed under their numbers on the Mystics and Dreams. The Aces uniform will only feature an MGM Logo on the left shoulder, mirroring the NBA design. The new Nike WNBA uniforms all feature the same uniform cuts similar to the previous Adidas uniforms . The uniforms also have a cleaner look than the previous Adidas designed uniforms. Fit: Women-specific scapula cuts on the jersey and vents on the shorts as well as an extensive variety of uniform lengths and short rises maximize range of motion and comfort. Temperature regulation: An advanced, closed-hole mesh fabric with quick-dry back venting (the pattern and placement were determined by employing digital body maps that evaluated female athletes’ primary sweat and cling zones) helps regulate body temperature and provides optimal moisture control during play. 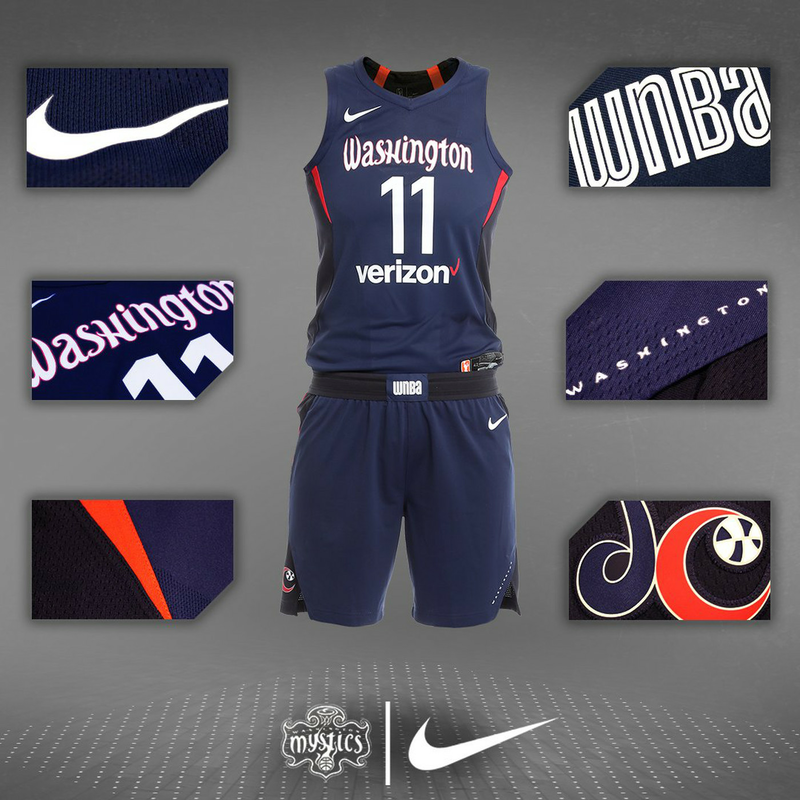 To create a special look for the WNBA, Nike focused on amplifying each teams’ primary and secondary colors through a tonal application of color that moves from the front of the uniform to back, intended to create the effect of an athlete in motion. A wing-like design on the back of the jersey features sharp angles that imply power and speed. In line with the new basketball uniform naming convention announced by Nike and the NBA last year, the WNBA introduces an Icon Edition and Statement Edition silhouette. The Icon Edition uses the team’s primary color to represent the rich heritage and iconic identity that exists within each franchise. The Statement Edition highlights the team’s secondary color and sets the tone for big games or rivalries. If you consider yourself as a passionate on line shopper like myself,eBay has amazing deals on the best products and exercise equipment . I hoped you enjoyed the Basketball Uniform Design-New WNBA Nike Jerseys Unveiled article and if you have any questions about the post want to leave a comment or want to leave your own personal review, please leave a comment below thank you. This is some great information about the evolution and history of basketball jerseys. I am a basketball fan so this is an interesting read. I like how you incorporated women jerseys and players for the WNBA into this post. Thank you for reading my article Britney .I appreciate the positive feedback in response to the post . You can always comeback to check out this site for more girls basketball updates. I appreciate you stopping by and reading my latest blog post have a good week. I don’t get to see too many WNBA games so I never realized how much the uniforms have changed. Comes as no surprise though especially seeing Nike involved because it is crazy have different jerseys there are now per team and how far they have come. Surprised to not see corporate sponsorship take over more of the jersey than they have at this point. Nicely written article! Honestly I am not so into NBA sports myself but it does pick my interest when I read your post on how the basketball jerseys evolve over time. Keep up the good work! Thanks for reading the my article Farhan.The changes to the WNBA jerseys have been good and beneficial for the players themselves because they have input into the overall design.Have a great day.